Also, in the last article, "Episode 519: What is Automation of Business Process (Part 2)", I mentioned about the scope and implementation method of "[A] Automation of handing over". In this article, I would like to organize the range to which "[B] Automation of processing" can be applied and the implementation method. 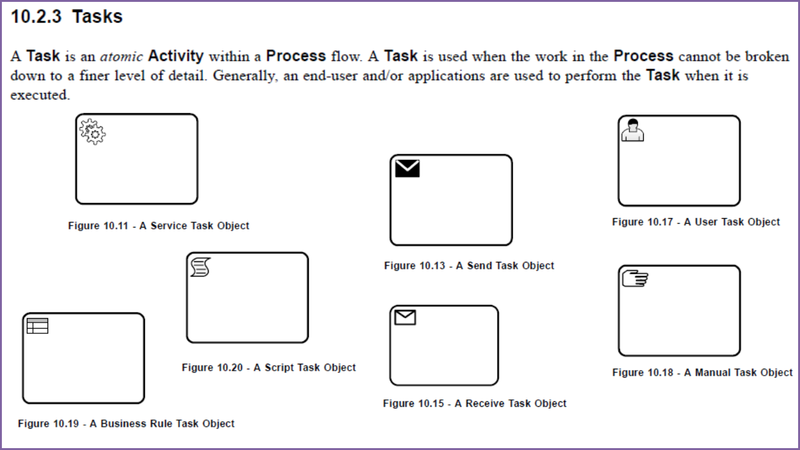 Likewise the idea of "[A] Automation of handing over" is that leaving the delivery of Issue information from a certain Step to the next one to a computer, it leaves the "work inside certain Step" to the computer in "[B] Automation of processing". posting summary of the Quote to Enterprise social network. * Incidentally, it may be easy to understand with an expression that (instead of using the term of 'automation') "part of Step of Business Process to be unmanned", as long as it is not necessary to contrast with "[A] Automation of handing over." On the other hand, there are some Steps that not to be automated completely. would contribute to labor saving of work. However, in this case, the Step of "Creating the Quote" is not unmanned, as some human input (human interface) is necessary. 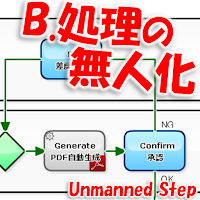 Therefore, it can be said that such Steps should be classified as "human Step". By the way, in the international standard notation "Steps" are classified into the following 7 types. * "Send Step" and "Receive Step" in the following are almost synonymous with "Send Event" and "Receive Event" respectively. Therefore, it can be considered as five types. And, in this classification, Steps of 1 to 5 correspond to "Automation of processing" (Auto-Step). In recent business systems (Workflow / BPM / ERP), it is possible to incorporate (design) various Auto-Step. When the workflow system is "Web application type", the Auto-Step is "processed on the server". 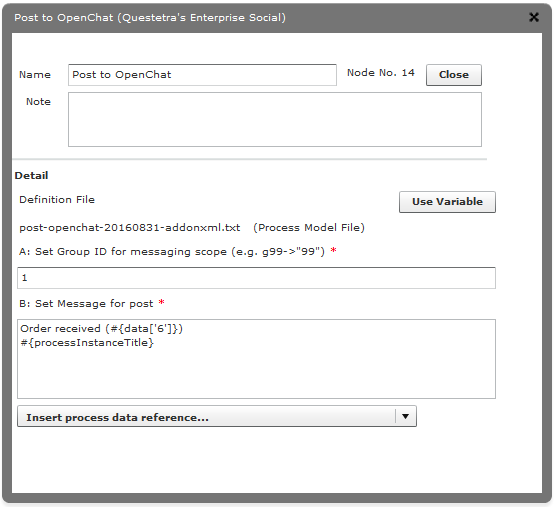 In the Cloud based Workflow "Questetra BPM Suite", it is realized by placing Auto-Step icon on the Business flow diagram and setting the properties of the icon. 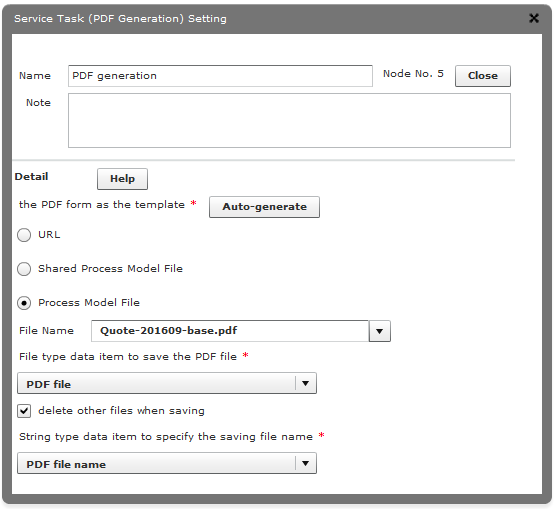 As you can see the captured images in the pages below, you do not need programming knowledge for setting up "service Steps" (Service Task). 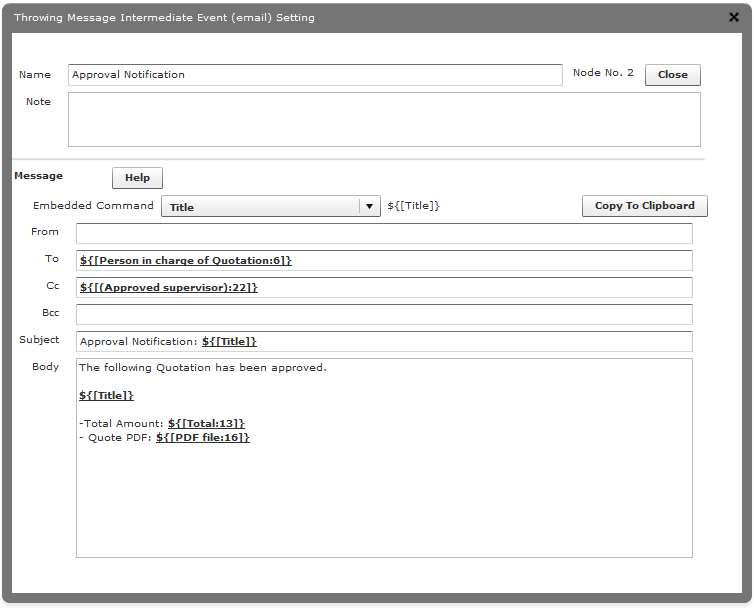 After it is operated as a Workflow system, it will be processed automatically every time an Issue arrives. 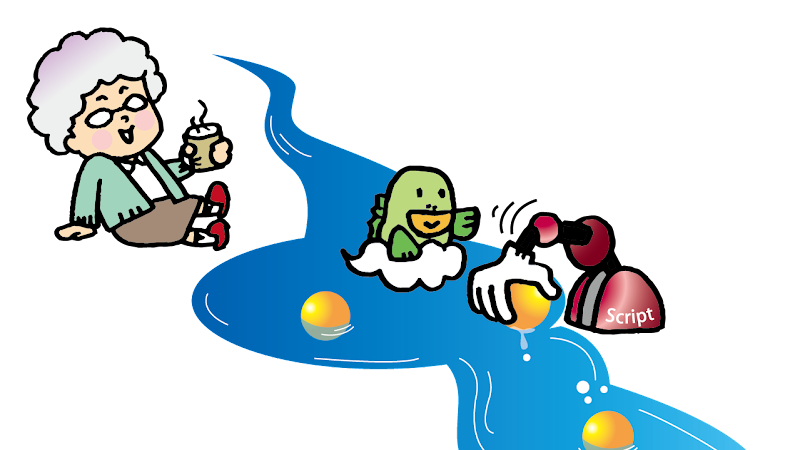 In recent years, discussion on improving productivity is very active in Japan. will be carried out to be "Auto-Steps" one after another. However, automation cannot be realized unless we know what kind of Steps exist in the first place. It can be said that first of all, there is a need to develop a system that can constantly capture what kind of input and what kind of output it is in "Steps" which is repeated on a daily basis.